I fell in love with this sketch the moment I saw it. I just love the splatters, and all the layers and ring. I wanted to do mixed media, but the papers/photos I chose, I didn’t want to over do it. So I chose Shimmerz Creameez in “Ride the Tide” and Inklingz in “Me & Blue” to make a subtle, watercolor background. 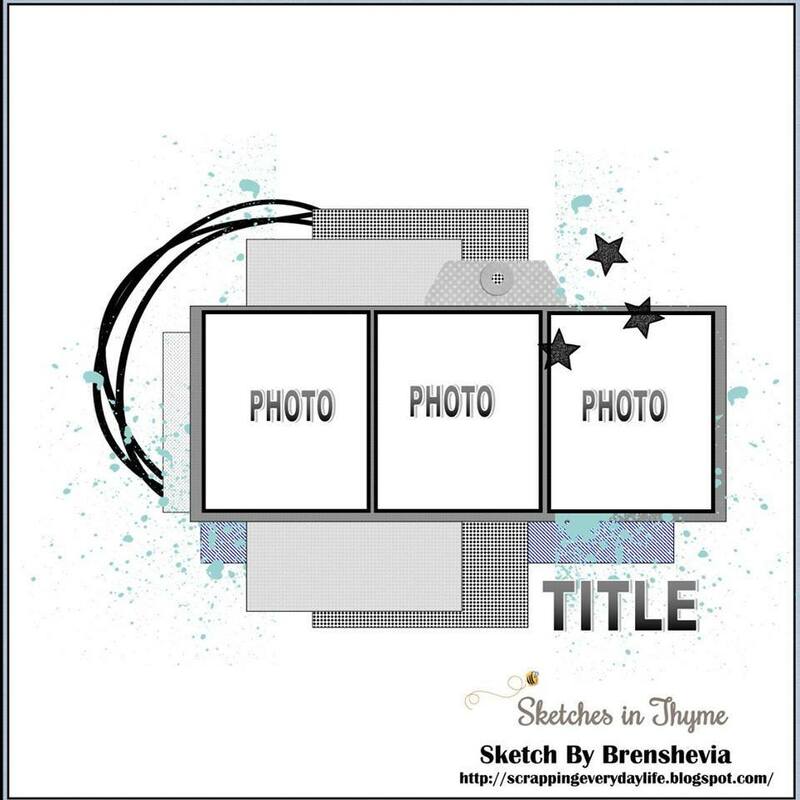 From there, I used my brand new papers from Doodlebug’s “Puppy Love” collection. OMGosh I LOVE this collection so much! I love the bright, happy colors and the embellies are just too cute! I mean, just look at that cute doggie die cut! And the cute stickers and papers. Even my pictures are cute – HA! They are of Jeffrey and Little Bit, from last April. I just love when I catch the doggies doing something natural as “watching”. 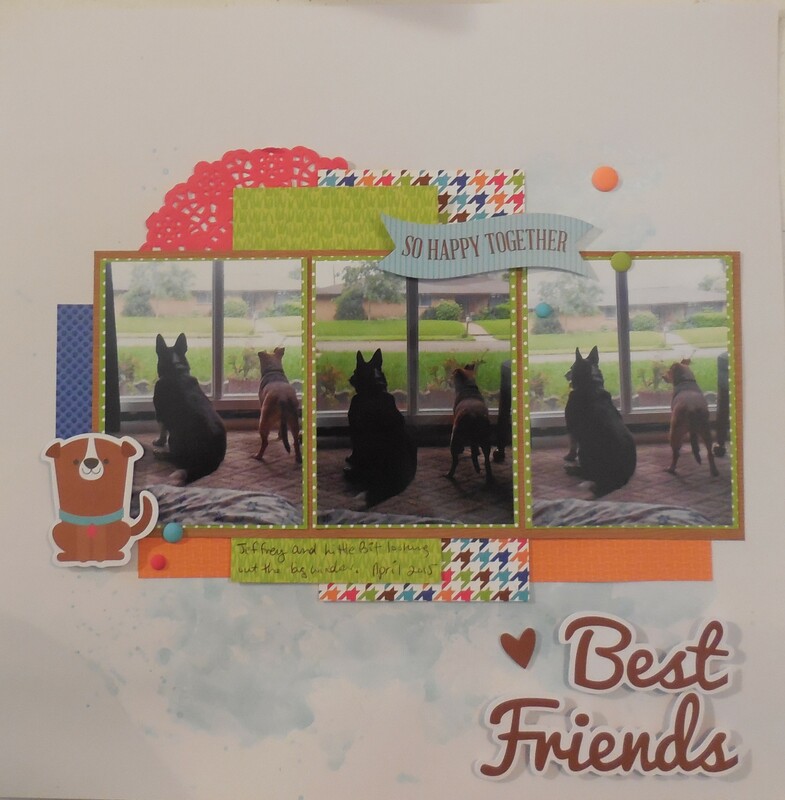 I finished off the layout with a few enamel dots here and there and popped up the die cuts – title, heart, doggie and “So Happy Together” banner.